Mosques are religious centers for Muslims. These brick and mortar buildings are very important to our community in more ways then one. Our places of worship are where we go to pray, meet, talk, learn, visit, laugh, meditate, read, listen, and primarily get closer to Allah and His word. They are most special to us on Fridays, because that is our day of worship, known as Jumu’ah. This day is when we gather together in congregation and listen to a lecture designed to empower us. Over the years, I have made several mosque crafts here on the ACraftyArab blog. 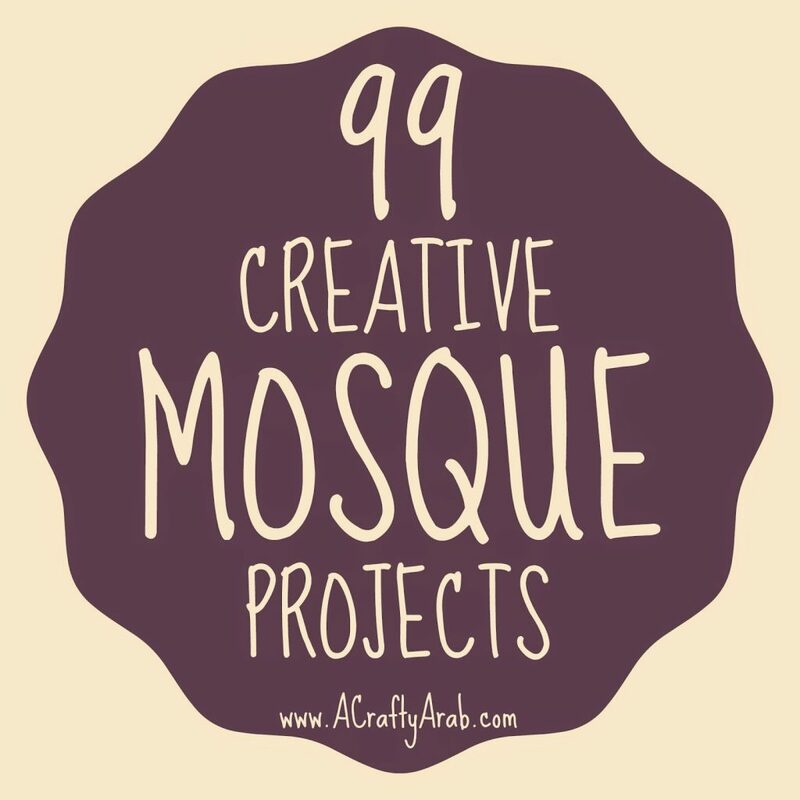 I have collected them below, along with a few others, so that you can enjoy making some creative mosque projects to appreciate these majestic holy places. To be inspired by beautiful mosques from around the world, please visit my Pinterest board. Be sure to come back to my blog as I work on compiling more 99 creative projects. If you find a mosque project online, simply add the link below, or contact me via Twitter, Facebook, or Instagram. Please do let me know if any links are broken. Update – 4/15/15 – I have created a Pinterest board to showcase all the above projects, please give it a follow here. Also, while I was creating the board, I realized I had accidently listed a drawing project twice. This has been corrected.